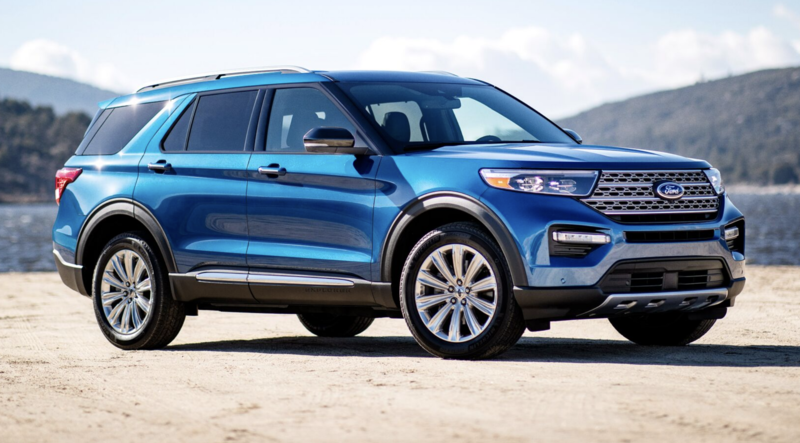 Following on the heels of the reveal of the redesigned 2020 Ford Explorer last week, Ford unveiled the all-new Explorer ST and Explorer Hybrid models today at the 2019 North American International Auto Show in Detroit. 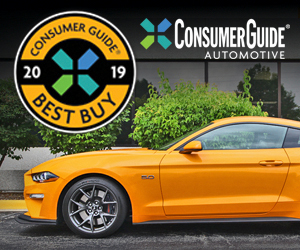 The ST is a performance-oriented model that packs a specially tuned EcoBoost V6 projected to make 400 horsepower; the Hybrid gets a 3.3-liter V6 gas/electric powertrain that is projected to produce a total of 318 horsepower. 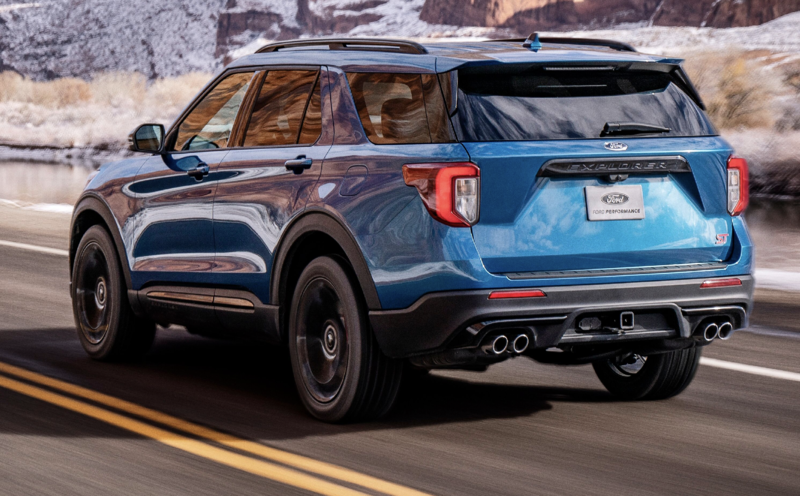 The Explorer is actually the second ST model in Ford’s crossover lineup; the 5-passenger Edge ST was introduced at last year’s Detroit Auto Show as a 2019 model. 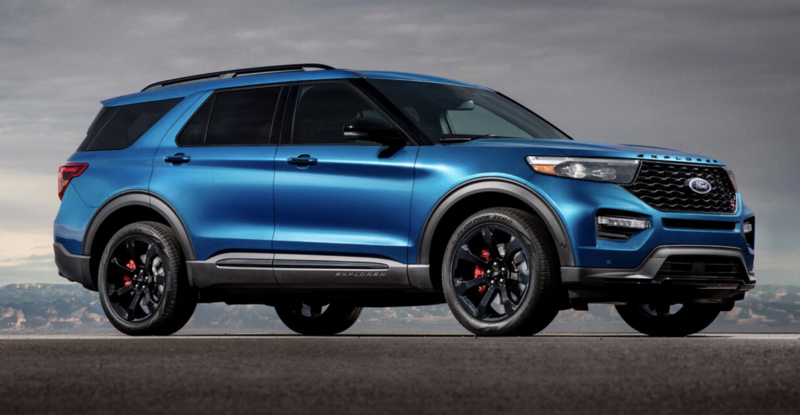 The Explorer ST’s 3.0-liter turbocharged EcoBoost V6 is expected to produce 400 horsepower and 415 pound-feet of torque, and is paired with a 10-speed automatic transmission and standard all-wheel drive with selectable traction control. 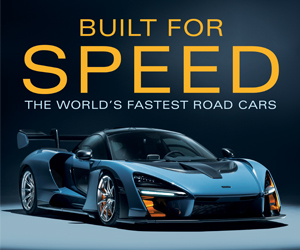 Ford is targeting a track top speed of 143 mph. A Sport mode dials in sharper steering, more-aggressive throttle response, higher-rpm shifts, and an enhanced engine note. In addition to the muscled-up powertrain, the ST wears sporty trim inside and out, including a black mesh grill insert, flat-bottomed heated steering wheel, and sport bucket seats with micro-perforated leather upholstery. The available ST Street Pack and ST Track Pack both offer 21-inch aluminum wheels, along with differing levels of upgraded performance brakes featuring larger vented rotors, red-painted calipers, and larger brake pads. The Explorer Hybrid’s 3.3-liter V6 is paired with an all-new modular hybrid 10-speed transmission. The liquid-cooled lithium-ion battery is built into the chassis below the second-row seats, so there should be little to no compromise to passenger and cargo space. Ford says it is targeting an EPA-estimated driving range of more than 500 miles, but didn’t mention any fuel-economy numbers. The Explorer Hybrid comes in upscale Limited trim, with features such as 10-way power-adjustable front seats, heated second-row seats, B&O premium sound system, and Ford’s Co-Pilot360+ suite of driver-assist technologies. Like the rest of the Explorer lineup, the Explorer ST and Explorer Hybrid are slated to go on sale this summer. Pricing and other details will be made available closer to the launch date. With the introduction of the ST and Hybrid versions, Ford’s popular Explorer can now serve an even broader swath of the buying public. We’re anxious to get behind the wheel of the Explorer ST to see how sporty Ford can make a three-row SUV feel, and we’re especially curious to see what kind of fuel economy the Explorer Hybrid will achieve… stay tuned.